Gibson Guitars has announced the release of the Orville Mandolin, a new model designed as a tribute to the brand's founder, Orville Gibson. When Gibson invented the archtop guitar in the 1890s, the bigger six-string was but a minor player in a music world far more enamored with a smaller stringed instrument: the mandolin. 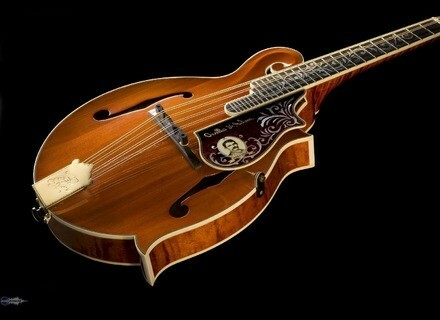 The Orville Mandolin is announced as an exclusive one-off creation, never seen before and never to be produced again. According to the brand it is constructed with an elegance and artistry befitting Orville Gibson’s legacy, and is topped with a soundboard of solid black spruce cut from a tree that grew in the cemetery where this great originator is buried. 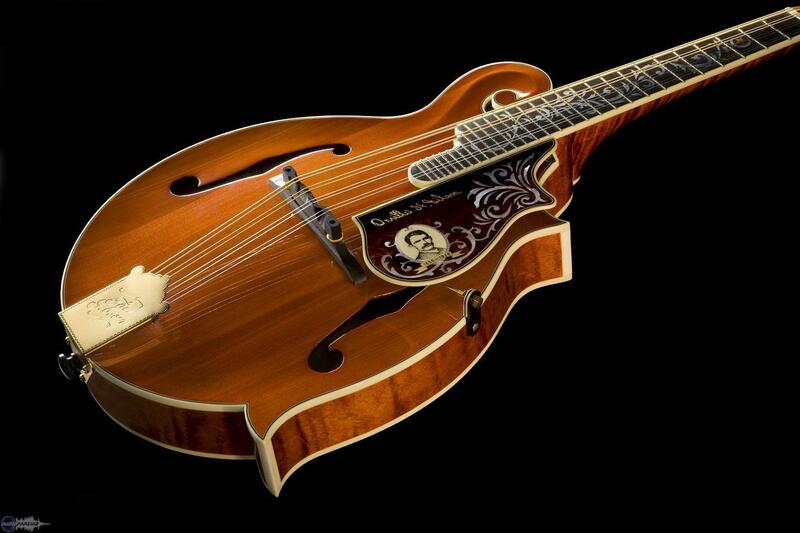 The Orville Mandolin has been made in the "deluxe" F-Style, and brought into being by the artisans at Gibson’s Original Acoustic Instruments Division. Partnering the solid black spruce top carved from an old-growth tree from Morningside Cemetery in Malone, NY, about 30 miles from Orville’s birthplace in Chateaugay, NY, are a solid one-piece stunningly quilted maple back and figured maple sides (rim), all constructed using hot hide glue. The figured maple neck wears an ebony fingerboard with 29 frets (including extension), topped with a pearl nut. While they echo traditional work on high-end Gibson instruments of the past, the mother of pearl inlays here are rather original. Created by engineer Darron DuBose of the Original Acoustic Instruments Division, they include a Star and Floral Vine inlay on the peghead, new pattern “vine” inlay (with Orvillesque Star and Crescent) on the fingerboard, and floral inlay with Orville portrait and signature on the bound, three-ply tortoise pickguard. Gold Arrow-Point Waverly tuners with inlaid Handel buttons further grace the peghead, while an engraved gold tailpiece adorns the tail. In an extremely tasteful touch, the body itself is unadorned other than its three-ply binding (the f-holes are unbound), allowing the straight, narrow grain of the rare black spruce top to shine through a simple nitrocellulose lacquer finish in Vintage Autumn Amber. Finally, the instrument is protected by an embossed leather Gibson hardshell case. No MSRP or release date announced. Gibson Victorian F-Style Mandolin Gibson Original announced the introduction of the Limited Edition Gibson Victorian F-style Mandolin with only 15 available in the world.